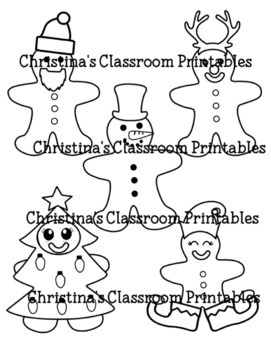 Christmas theme gingerbread coloring pages. 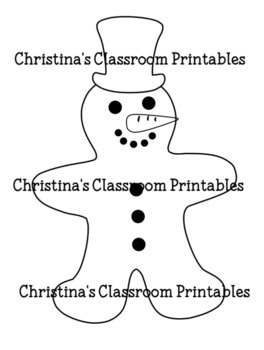 Includes 5 gingerbread on 1 sheet ( santa, elf, Christmas tree, reindeer and snowman) and full pages of each gingerbread man. Fun for the classroom!